Pablo Picasso (1881–1973), one of the most important artists of all time, exerted unparalleled influence on 20th-century modern art. The Fondation Beyeler owns more than 30 of his works, one of the largest and finest Picasso collections worldwide. For the museum’s founders Ernst and Hildy Beyeler, Picasso embodied the ideal artist. Over the decades, they sold more than 1000 of his works, devoted numerous exhibitions to him in their gallery, and their relationship evolved into friendship. The paintings, works on paper and sculptures they collected span the period from early Cubism to the late works. In this display, they are complemented by permanent loans among others from the Anthax Collection Marx and the Rudolf Staechelin Family Trust. Before the viewer’s eye, the full panorama of visual worlds created by Picasso between 1907 and 1972 thus unfolds in 40 works. 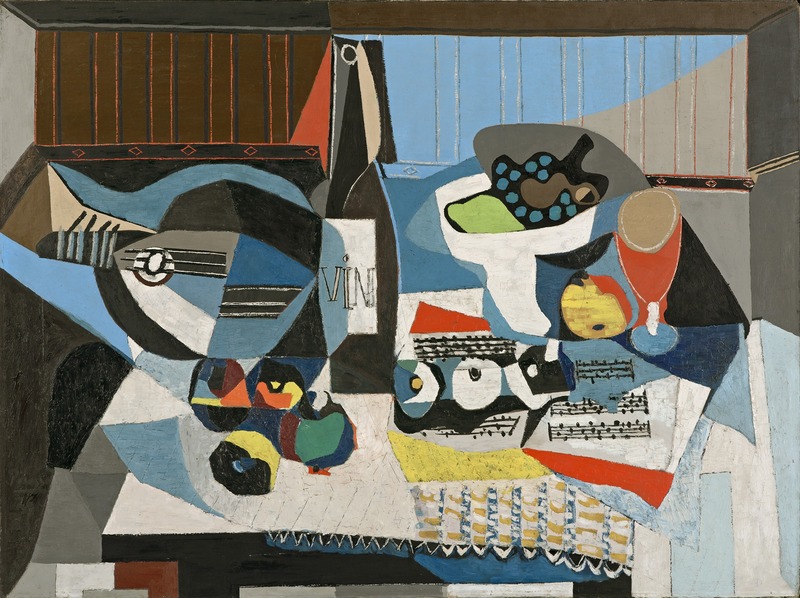 Picasso’s key periods and themes are considered in depth across eight rooms: Cubism and Classicism, Surrealist tendencies, his models Marie-Thérèse Walter and Dora Maar, the war years, artistic predecessors who inspired him, drawings and prints, the late works and the last years. The show offers an extension to the major exhibition “The Young PICASSO – Blue and Rose Periods”, on view from 3 February to 26 May 2019, thereby temporarily turning the Fondation Beyeler into a museum dedicated entirely to the works of Pablo Picasso. In the Pre-Presidential Library, Aleksandra Mir presents a collection of US tabloid front covers dating from 1986 to 2000. Each front cover, enlarged to two metres high, features a headline that relates to Donald Trump’s business dealings, political aspirations or personal life. Mir’s selection of front covers from the New York Daily News and New York Post is part of a larger collection that the artist compiled in 2007 during a period of research in the microfiche archives of New York Public Library. Together, these reproduced pages – each one copied from microfiche film which has been damaged through heavy public use over a long period of time – offer a study of the attitudes and biases of the tabloid press: what makes headline news, and why? During the course of her research, Mir discovered that news relating to Donald Trump made the front covers on 87 occasions in the 15-year period leading up to the millennium. In contrast, the AIDS crisis, which during the same period claimed the lives of over 75,000 New Yorkers, featured just 13 times. Presidential libraries are the official repositories of presidential papers and correspondence. Mir’s Pre-Presidential Library is an open source project that – as the artist puts it – ‘anyone, anywhere’ can research, host or develop. Aleksandra Mir (born 1967, Lubin, Poland), a Swedish-American citizen, lives and works in London. Selected solo exhibitions include Triumph, Centro Pecci, Prato (2018); Space Tapestry: Faraway Missions, Tate Liverpool (2017); Space Tapestry: Earth Observation & Human Spaceflight, Modern Art Oxford (2017); Drawing Room, Drawing Room, London (2014); and The Space Age, M-Museum Leuven, Leuven (2013). 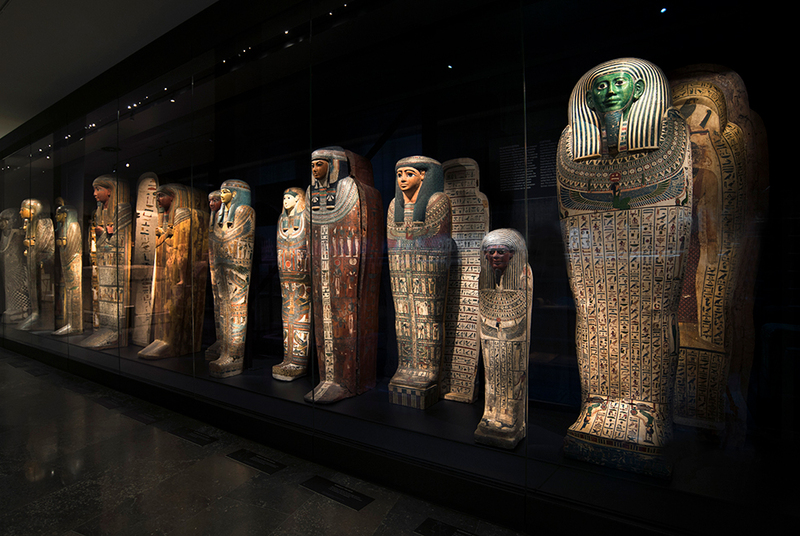 The mystical world of the ancient Egyptian gods comes to life in the Rijksmuseum van Oudheden (National Museum of Antiquities) in Leiden, the Netherlands. The large exhibition ‘Gods of Egypt’ is entirely devoted to the ancient Egyptian pantheon and brings together more than 500 imposing sculptures of gods and goddesses, magical papyri, gold jewels and richly painted mummy cases, from museums in the Netherlands and abroad, including the British Museum, the Louvre, the Museo Egizio of Turin, and the Kunsthistorisches Museum of Vienna. ‘Gods of Egypt’ runs until 31 March. The ancient Egyptians believed that everything - the creation of the cosmos, transient life on earth and eternal life after death – lay in the hands of gods and goddesses. These deities determined their entire view of the world and their everyday life. The pharaoh was considered one of the gods and represented the Egyptian gods on earth. From the 31st October 2018 to the 13th January 2019, the Frankfurter Kunstverein will present the exhibition "Reconnecting with the World: About the Poetic in Elements and Material" featuring works by Hicham Berrada (b. 1986, Casablanca, lives and works in Paris), Lucy Dodd (*1981, New York, lives and works in Kensington, New York) and Sam Falls (*1984, San Diego, lives and works in Los Angeles). 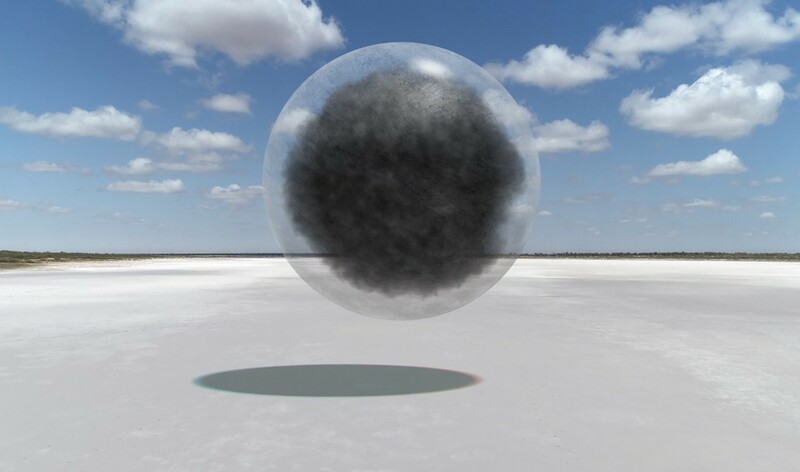 The artists participating in the exhibition, Hicham Berrada, Lucy Dodd and Sam Falls, seek out our basic existential parameters and thus try to demonstrate our connectedness with an all-embarcing whole, showing new ways of reconnecting with nature and the world. They create their works embedded within a historical moment of progressive disconnection from physicality and the conditions set by time and space, perpetuated by the use of digital devices. The different artistic approaches of Hicham Berrada, Lucy Dodd and Sam Falls meet common ground in their aim to understand the world by using the materials we find in our environment and mapping the relationships that connect them. The works of these artists unfold from a resonance with the materials that are part of our lives. They use natural phenomena, activate temporal processes, and work with organic substances. The works develop by tracing the transformation processes that the respective materials undergo. Starting from an in-depth exploration of the materials’ behaviors, their works use art’s capacity to cast humans into the structure of the world and sketch out a new kind of connectivity to the processes unfolding within it. The artistic works by Hicham Berrada, Lucy Dodd and Sam Falls are located at the intersection of aesthetic expression, applied sciences, and practical philosophy. In their poetic investigation of nature, they seek out forms capable of representing how everything came to be the way it is. 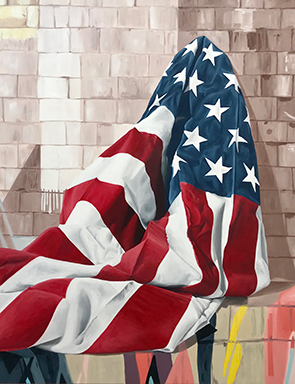 Garis & Hahn presents A Piebald Era, marking Downtown Los Angeles-based painter Lisa Adams's debut solo show with the gallery. The exhibition will open on January 12 and remain on view through February 16, 2019. Occupying the liminal space between abstraction and representation, the imaginary and the real, Adams's highly original paintings depict scenes which lie at the intersection where nature meets the brutality of the human-made, as filtered through a uniquely otherworldly prism. Derived from photographs and experiences as well as her personal imaginings, Adams's idiosyncratic paintings are an admixture of fact and fantasy, amalgamated fragments manifesting in a disjointed whole, a skewed world that is seemingly falling apart. Exploring the contradictions borne from the dichotomy between natural and urban environments, Adams fuses the two worlds into a new disturbing surreality.